The first sighting of snow falling this week was just one little reminder that we are quickly approaching the wonderful Christmas season. As I sat and watched my daughter gazing out the window as the flakes fell to the ground, I couldn&apos;t help but get excited for what this holiday season will bring. Christmas to me has always been a magical time when the world around us transforms for a while. These moments make memories to last a lifetime. 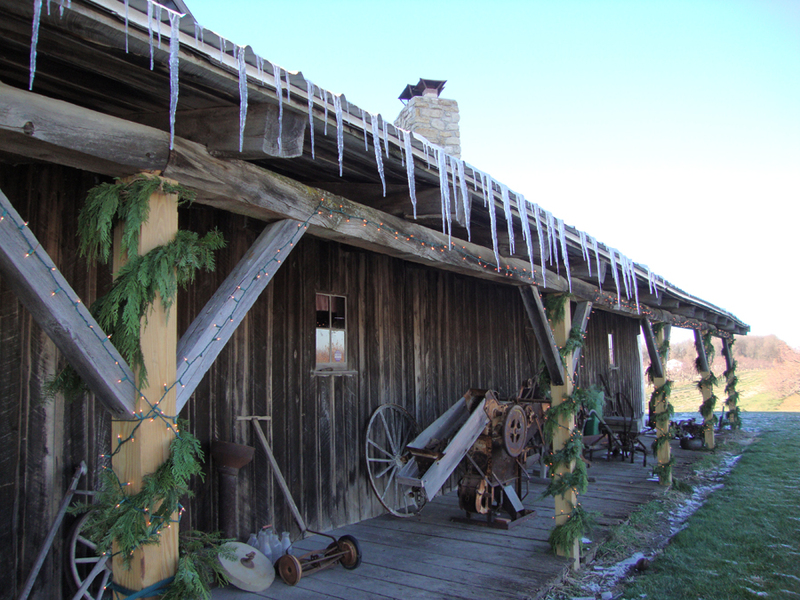 Hendricks County is home to some wonderful events that will allow your family to make some great holiday memories and maybe even start a tradition or two. Today, I want to spotlight one such event, Christmas at the Orchard held at Beasley&apos;s Orchard from 9 a.m.-5 p.m., Saturday, Nov. 17. This is an event that promises to take you back to the old-fashioned days of Christmas. Beasley&apos;s has gone to great lengths to create a warm and magical environment for guests. 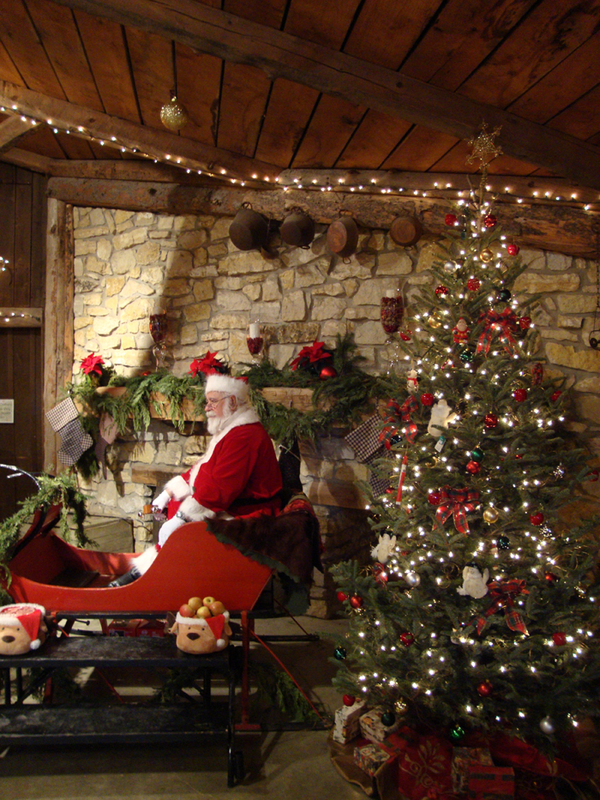 This event will take place in their 150-year-old barn turned market complete with the smell of applewood burning in their fireplace and sights of Santa sitting in his antique sleigh. This is truly an event for the whole family! Be sure to have the kids ready. Old Saint Nick will be available to hear everyone&apos;s wishlists from noon-4 p.m. Professional photos with Santa by Elisabeth Chapman also will be available. (Sounds like a great shot for the Christmas card!) I plan to bring my little one out to meet Beasley&apos;s Santa. I have heard time and time again that this is one of the best Santas around! Beautiful Christmas tunes will fill the air throughout the day. Butler University’s Freshly Brewed A Capella Choral group will sing during the first part of the day, followed by the lovely sounds of the hammered dulcimer played by Sharon O’Connell. On the enclosed front porch, there will be activities for all including kids games, wine tasting for the adults and several arts & crafts vendors offering something for everyone&apos;s wishlist. Outdoors the event will boast several of Indianapolis&apos; finest food trucks. These trucks will be offering lunch as well as an assortment of snack foods. 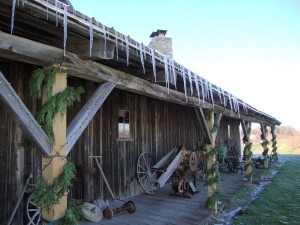 Be sure to have everyone bundled up and prepared for some festive wagon rides touring the 165-acre family farm. The cost is $3 per person for ages 3 & up. According to Beasley&apos;s staff, one of the biggest draws of this event is the festive items Beasley&apos;s features in their market on this day. Be sure to shop a while and view the special holiday items including: custom made Thanksgiving centerpieces, baking mixes, special gift baskets, holiday jams and jellies and much more. This event has Rockefeller Christmas written all over it. It is sure to be a wonderful memory for years to come! So bundle up, get your Chirstmas lists ready, come hungry and enjoy a beautiful day! (Oh and be sure to bring your camera! No one wants to miss a good holiday shot!) Oh, I can hear the sleigh bells now! Be sure to share any photos of you & your family attending this event on our Facebook page!